Euro is still being corrected. Earlier, price rebounded from the group of lower fibo-levels. 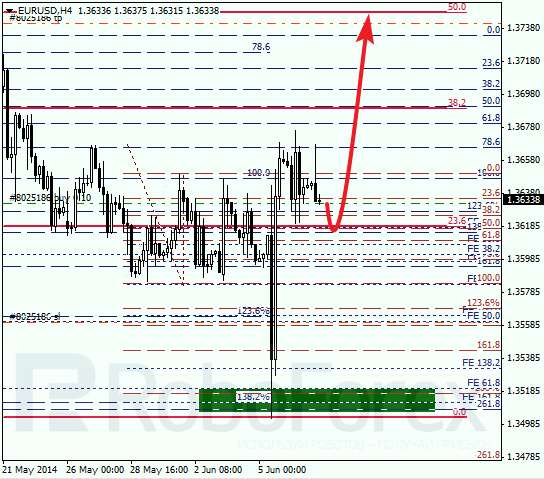 Later pair is expected to test local minimum and then start new ascending movement towards level of 50% (1.3747). At H1 chart, price is getting closer to temporary fibo-zone. Possibly, inside this zone pair may rebound from local level of 38.2% (1.3610) and start new ascending movement. After reaching the group of upper fibo-levels, market started new correction. Most likely, after local correction, pair may continue falling down towards level of 50% (0.8870). If later pair rebounds from it, bulls may try to reverse market upwards again. 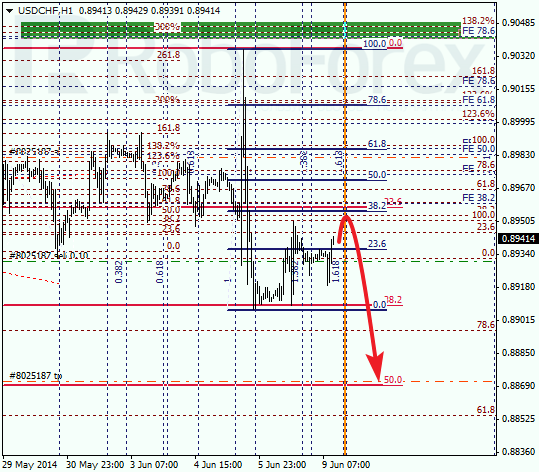 As we can see at H1 chart, target of current local correction is at level of 38.2% (0.8956). Possibly, price may reach it inside temporary fibo-zone. If price rebounds from it, I’m planning to open another sell order, my second one.